OB MODEL, MANAGER, KÜNSTLER ODER BISCHOF – Nabiha schafft es, durch ihre gewinnende Art und ihr Einfühlungsvermögen eine motivierende und entspannte Atmosphäre zu kreieren, mit der sie jedem Kunden ein besonderes Shooting-Erlebnis und -Ergebnis bietet. Sie ist spezialiert auf Portraits on location. Ihre freien Projekte stellt sie international aus (> unityart.eu). Mit über 25-jähriger Erfahrung in der Portraitfotografie ist sie weltweit ab Deutschland buchbar – mit Basis auf dem Steinberg in Würzburg. Buche jetzt Dein Fotoshooting mit Nabiha … bundesweit und weltweit! Nabiha produziert seit 2002 mit 100 % Ökostrom. IN 1990 NABIHA BOUGHT HER FIRST SLR FROM HER SAVED POCKET MONEY and started to become a passionate photographer at the age of 13. While she „lived“ in her school´s analoge black and white lab after classes, she got her first portrait commissions and had her first local exhibitions. She studied Visual Communication/Photo-Design at the University of Applied Sciences Bielefeld (with Prof. Dr. Gottfried Jäger/Kulturpreis 2014 DGPh) from 1997 – 2004 and also received a BA in Photographic and Digital Arts from the University of Westminster in London (with Tom Ang) in 2001. Her motto * celebrate life ! * flows through all her work with an endless passion for light and life in all its forms. She strongly believes that photography has the power to change the world: only if we perceive what we want to protect we are able to make adequate (sustainable) decisions. Whether model, manager, artist or bishop – through her empathy and winning personality Nabiha manages to create a motivating and relaxed atmosphere, presenting every client with a unique shooting event. 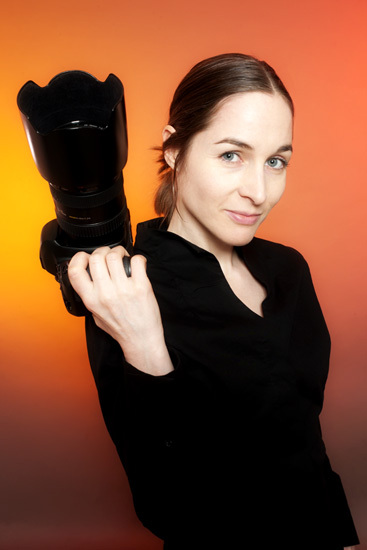 With over 25 years of experience in portrait photography, Nabiha has been working for a variety of national and international clients and has her base on the famous vineyard Stein in Würzburg, Bavaria. She is bookable from Würzburg Germany and worldwide. Her free art projects – together with her partner Thom – are exhibited and published worldwide and receive international acclaim since 2006 (see unityart.eu). The two started collaborating in 1997 and are now very grateful to be able to look back to more than 20 years of happiness and collaboration. Book you photo shooting with Nabiha now … all over Germany and worldwide! Nabiha produses with 100% green energy since 2002.